SKU: EL_CCGY. 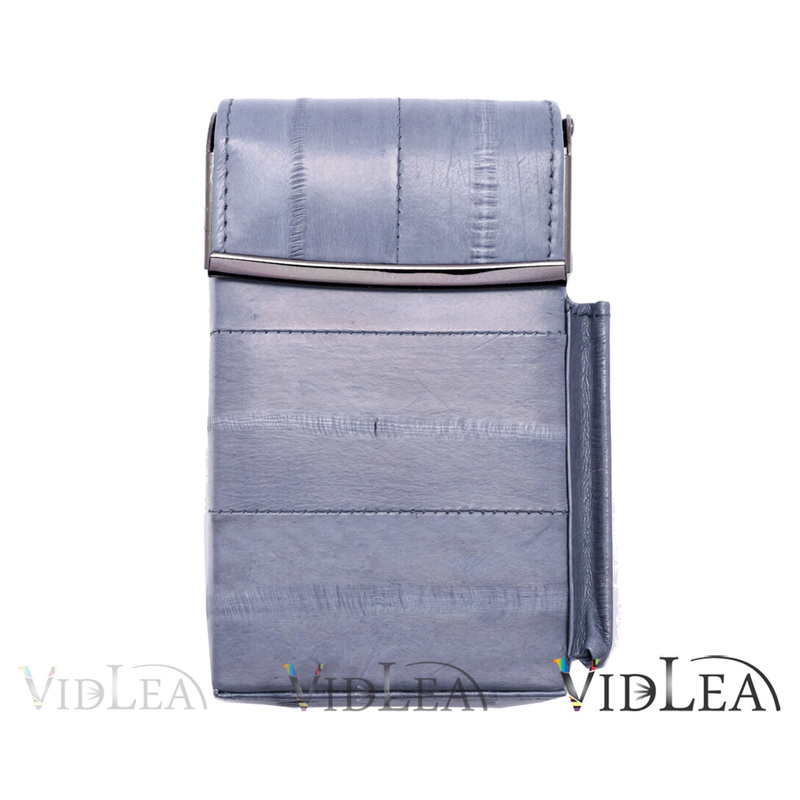 Categories: Eel skin Cigarette cases, Eel skin Collection. 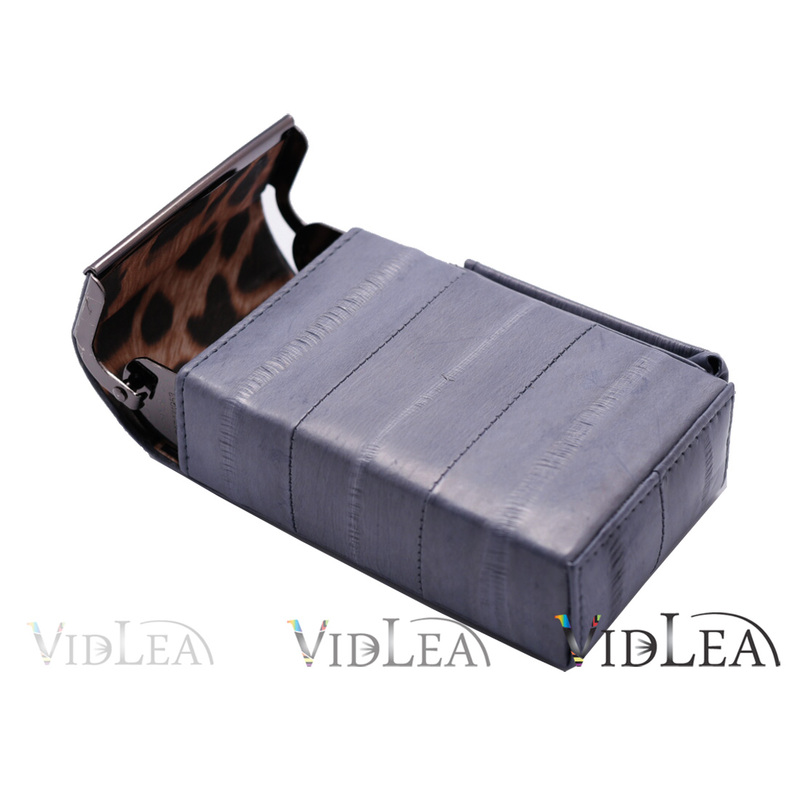 Tags: 100s cigarette, cigarette case, cigarette cases, eel skin cigarette case, eel skin cigarette holder, eel skin leather, eel skin tobacco case, gray, grey cigarette case. 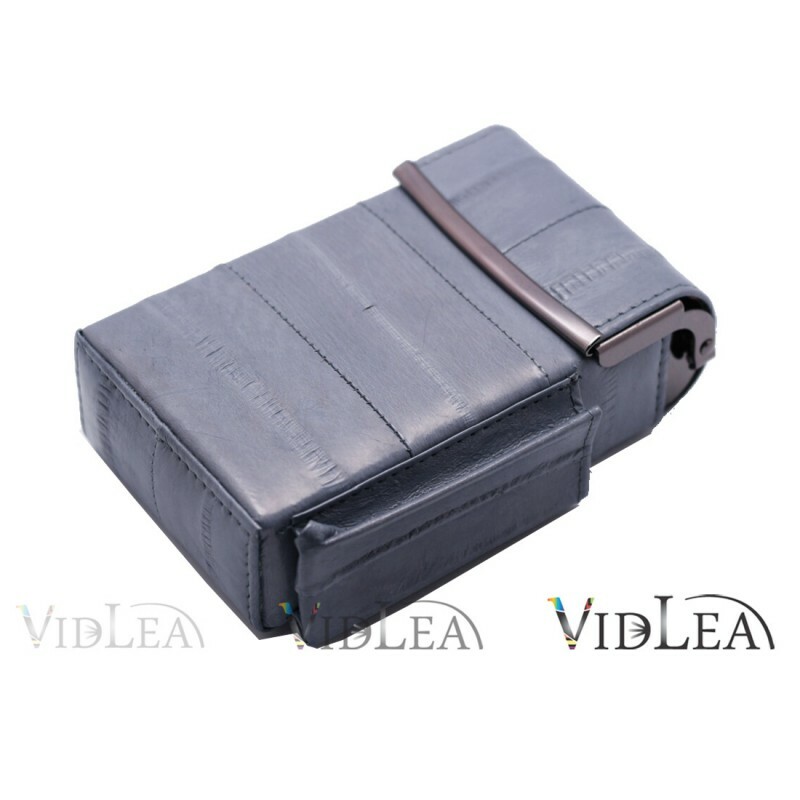 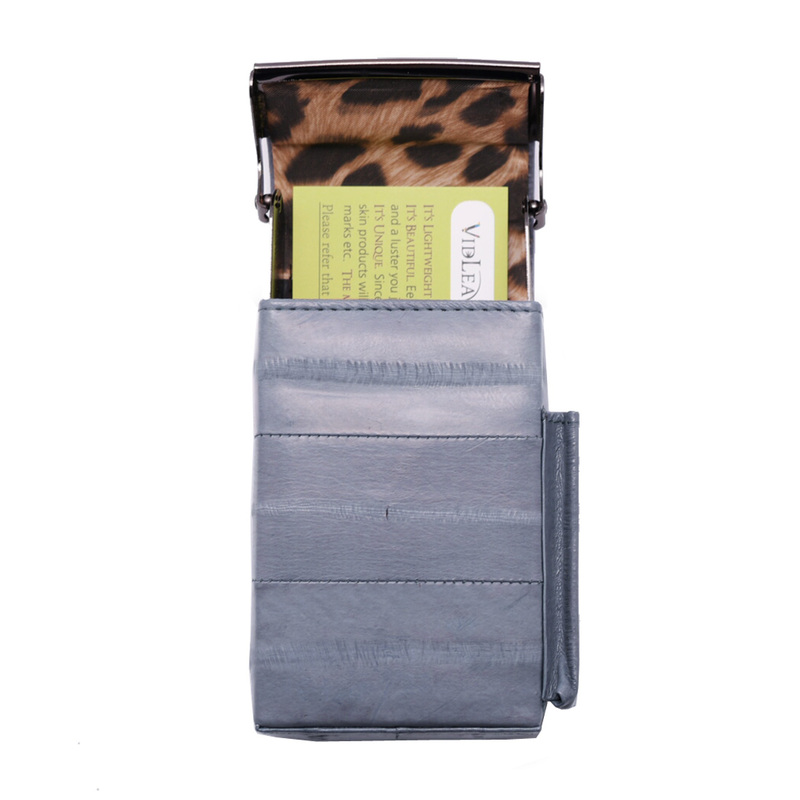 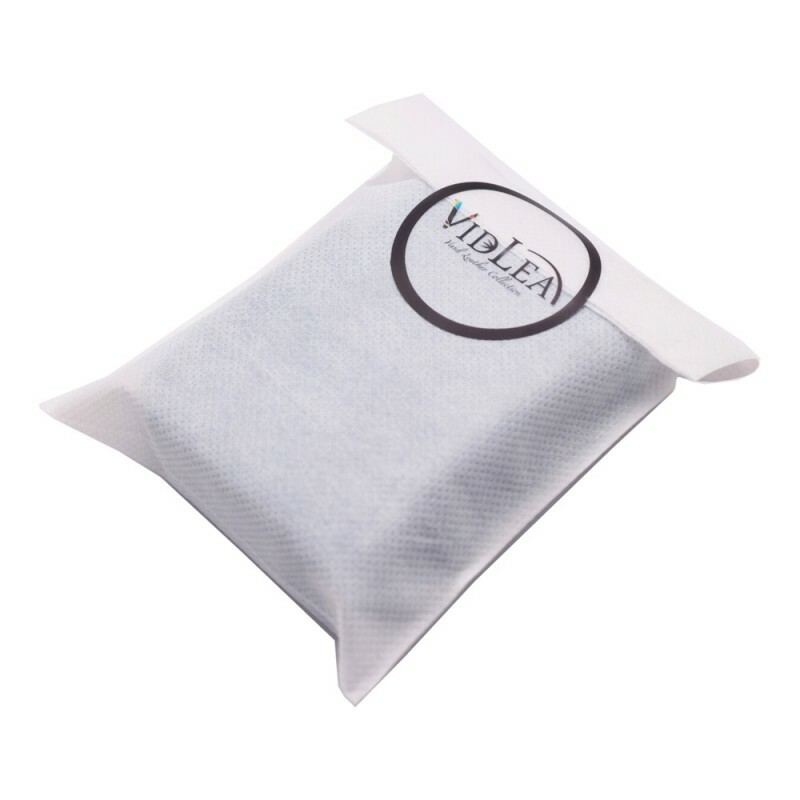 Eel Skin Cigarette holder Gray Cigarette case, Update your Eel skin leather cases collection.